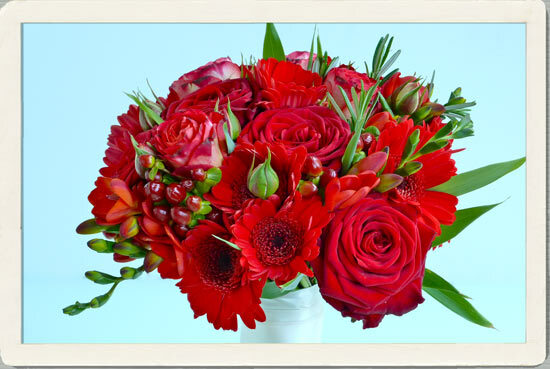 As a Chinese symbol of happiness, good fortune and joy, Philippa's red wedding flowers could not have been better suited for her marriage to James. 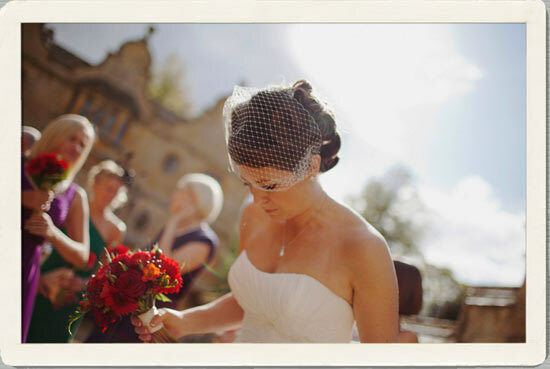 The wedding took place in The Cotswolds at the historic Stanway House in Gloucestershire. 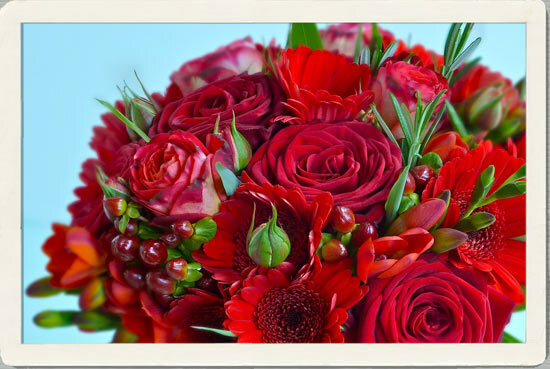 Philippa's bouquet of bright red " Midsummer" and "Naomi' roses, gerberas, freesias and berries looked stunning against her white wedding dress. 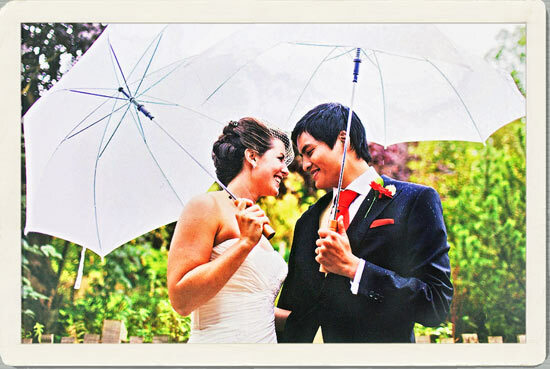 Even though there was some rain that day, her bouquet still managed to shine. Just a quick note to thank you ever so much for the stunning flowers. They really made the wedding.... I was so grateful to you for your suggestions and expertise." 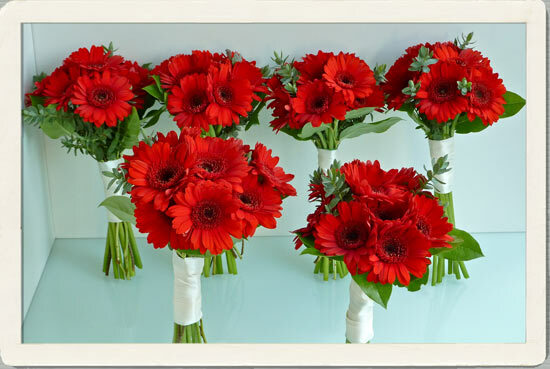 The red theme was continued with Philippa's bridesmaids' bouquets of bright red gerberas with their stems wrapped with ivory satin ribbon. 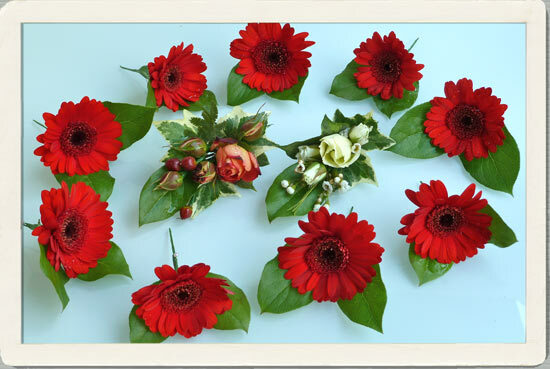 The red gerbera buttonholes further enhanced the overall look and matched the bridal parties' cravats perfectly. A simple and bold alternative to the conventional cream rose.